tashuaschool.com – Congratulations to Samantha Petiprin! Home » Life@Tashua » Reflections » Congratulations to Samantha Petiprin! 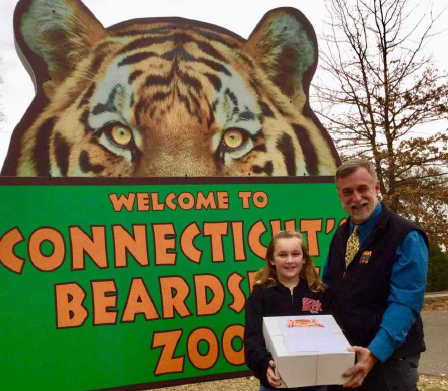 Trumbull fifth grade student Samantha Petiprin has been named the honorary chair for the Beardsley Zoo’s inaugural Tiger Trot, a one-mile family fun walk that takes place at the zoo on Saturday, May 5. The walk/trot will include all-day admission to the zoo, with special activities, face painting, music, giveaways, and surprises.